Intersection of Mansfield & what was then Dorchester, looking North. Place Ville Marie had yet to be built - not the work of the author for obvious reasons. Now that I’ve moved closer to one of my favourite Montréal icons, I feel compelled to remind people that before PVM, Montreal featured a massive open trench close to the heart of the city. In fact, before CNR and the City entered into an agreement to redevelop the entirety of CN lands south of the Mount Royal Tunnel (a process that took almost a half-century to complete), Montreal was hopelessly scared by this gigantic hole. The gaping hole on the urban tapestry was as a result of the Mount Royal Tunnel, constructed around the turn of the 20th century to allow an efficient and direct northern rail connexion to the new heart of the city. The Canadian Northern Railway, half of CN’s predecessors, built the Town of Mount Royal as a model garden suburban city, boasting its rail connexion to the city centre as its chief advantage – imagine that, excellent public transit access as a major selling point for a massive residential development, about a hundred years ago! Profits from the residential development allowed the CNR to expand by leaps and bounds. Even more impressive eh? Makes you wonder why we don’t do this anymore. I suppose planning on this magnitude was more common back then. In any event, as successful as the project was on one side of the mountain, it left a pretty bad fissure on the other, which over time grew notorious as a preferred location to commit suicide. As grisly as that may be, it was also provided a near constant drone and a considerable amount of air pollution, and as you can imagine, helped precipitate the residential demise in this part of town. As the city expanded beyond the urban constraints of the Old Quarter and began moving up the hill, urban redevelopment succeeded in gobbling up a good portion of the Square Mile in the process, as the large estates and institutions of yesteryear’s mercantile elites were transformed into the modern yet mature city we have today. 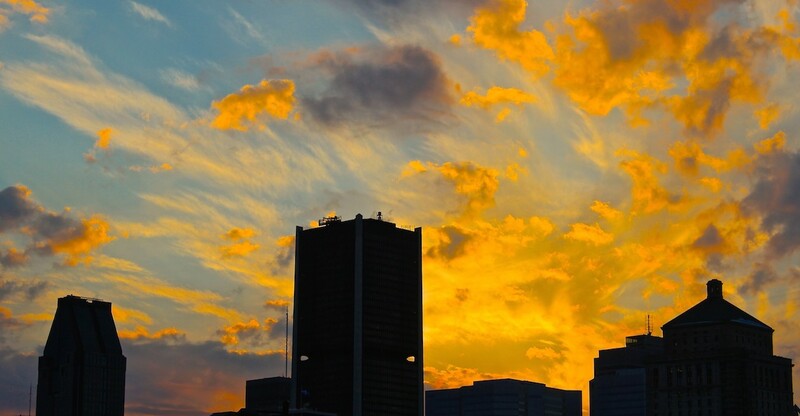 PVM stands out, in my eyes, as the principle focal point of Montréal’s dense urban core. The PVM development was part of a larger CN master plan which included the development (in chronological order) of Central Station, the CN headquarters and original ICAO complex, the Queen Elizabeth Hotel, Place Ville Marie, the Terminal Tower (800 Boul. René-Lévesque) and Place Bonaventure. 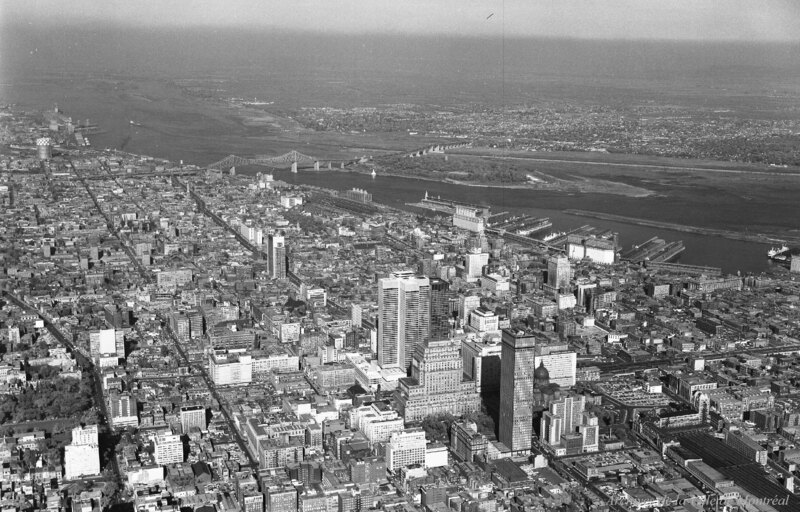 A later development would come with the Place du Centre and McGill College revamp of the 1970s and 1980s, entrenching these lands as a new societal centre for the City. Suffice it to say a lot of paths cross here, so it was natural to work the site into a larger traffic master plan. And imagine all that was here before was an open void. Seems almost otherworldly to me, and very hard to imagine as I lay out on my roof at nights watching the grand beacon announce our presence to all points within a fifty kilometre radius at eight-second intervals. Very hard to imagine indeed.